By Clemente Lisi – NEW YORK, NY (Sep 3, 2018) US Soccer Players – Pele, Socrates, Ronaldo, Kaka, Neymar. These are a mere sampling of the one-name soccer wonders Brazil has produced over the past six decades. Even your average American sports fans, who often hesitates when trying to name international athletes, can identify many of them. The name that stands out on that list is Pele. Not only is he arguably the best player in the game’s history, he also spent three years in the mid-1970s playing for the New York Cosmos and serving as an ambassador for the game’s growth in the United States. It’s a legacy that lives on to this day. That’s often the reason why so many Americans have an affinity for the Brazilian game. It isn’t uncommon to see people in this country sporting the iconic canary yellow jersey of a country that has won the World Cup a record five times and played at every edition of the quadrennial tournament. Expect to see many of those shirts this Friday night when the United States plays Brazil in a high-profile friendly at MetLife Stadium just outside New York City. We'll see a lot of people wearing those shirts and wildly cheering for Neymar, Philippe Coutinho, and the rest of the team. The USMNT will use this week’s friendly to prove itself. It is a litmus test to determine the team’s progress. This mix of youth players and veterans need to chart a course over the next four years that will culminate with qualifying for the 2022 World Cup. Brazil's connection to American soccer flows through Pele. He was the first international superstar to play here, setting in motion the eventual success of the game in this country. Pele embodied the carefree Brazilian spirit that made playing the game look so easy. It isn’t easy. The Brazilians taught us that artistry with the ball – known in Portuguese as ginga – could not only produce results but influence soccer culture around the world. The Brazilians have set the bar. Every nation on the planet has attempted, in their own way, to reach that goal. The ultimate compliment is to be old you “play like a Brazilian.” The US has had a few of those players in recent years who embodied both the creative spirit and swagger of a champion. The recently-retired Clint Dempsey, Cobi Jones who spent a season with Vasco de Gama in Brazil), and Benny Feilhaber who was born in Brazil have all embodied this spirit for the US National Team. While Pele did so much to inspire future generations in this country, other Brazilians have also called the US home over the past 30 years. Since 1996, MLS’s inaugural season, 91 Brazilians have played in the league. It’s not at all surprising that such a large number signed with MLS teams over that span. As Orlando City’s first-ever Designated Player signing in 2015, Kaka played three seasons with the Florida club. Although he lacked the pace of his AC Milan days, Kaka proved instrumental on and off the field. When he wasn’t scoring or making the players around him better, Kaka was always signing autographs and taking photos with fans. Like Pele, Kaka played three seasons in this country and made the most of his time here. While Brazilians play in some of the biggest leagues in the world, its National Team is no longer the force it once was. It last won a World Cup in 2002, although they are favorites each time the tournament rolls around. Neymar is the face of the current team, but an inconsistent World Cup in Russia earlier this summer has mark on him and the team. Brazil is a country with a long and successful soccer history. It is also a team all others want to measure themselves against, regardless of their current state or what it did at the last World Cup. This is the Brazil side the US can look forward to playing this week. The US has played some epic home matches against them including the 1-0 Brazil win on July 4 at the1994 World Cup and the 1-0 USMNT win in the semifinals of the 1998 Gold Cup on February 10. The US will be looking once again to deliver a shocking result at Brazil’s expense. That 1998 victory remains the only time the Americans have been able to defeat the South American masters at senior level. 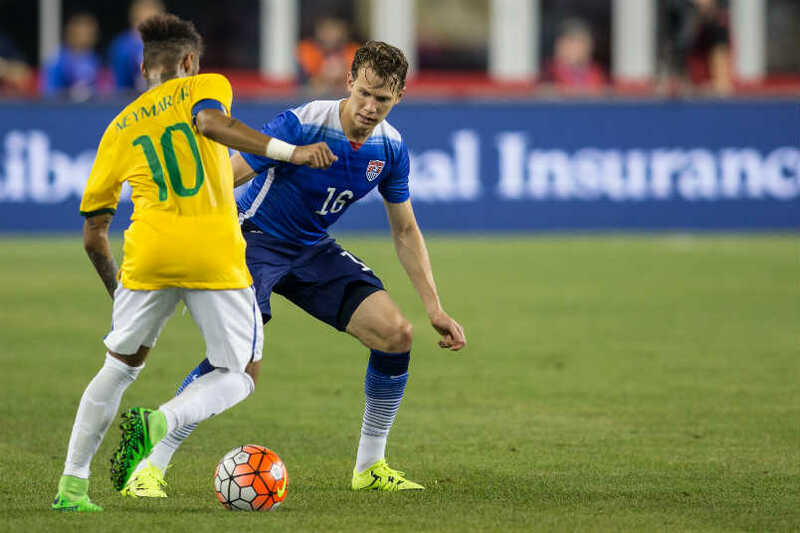 This is an opportunity for a new group of USMNT players to show that they can compete against the mighty Brazilians.